Please send your CV to yuvapahal@gmail.com, if any suitable job opportunities are available we will contact you. For Internship and Volunteering opportunities you can apply to us any time in the year by filling our internship form and send it back to us at yuvapahal@gmail.com. Yuva Pahal encourages students and professionals from diverse backgrounds such as Commerce, Management, Humanities, Law, Engineering, Architecture etc. to apply their learning and understandings on the thematic focus areas of Health, Women Empowerment, Education and Youth Livelihoods to gain rich experience and benefit the society as well. A brief interview will be done with all the interns/volunteers firsthand to know their potential and interest level to match them with Yuva Pahal projects accordingly. 5. 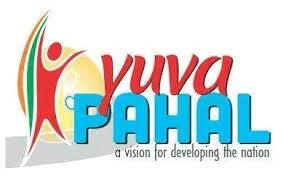 A orientation of all the projects of Yuva Pahal will be provided on commencement of internship and discussions will be carried out for selection of the specific project in which intern would like to work.